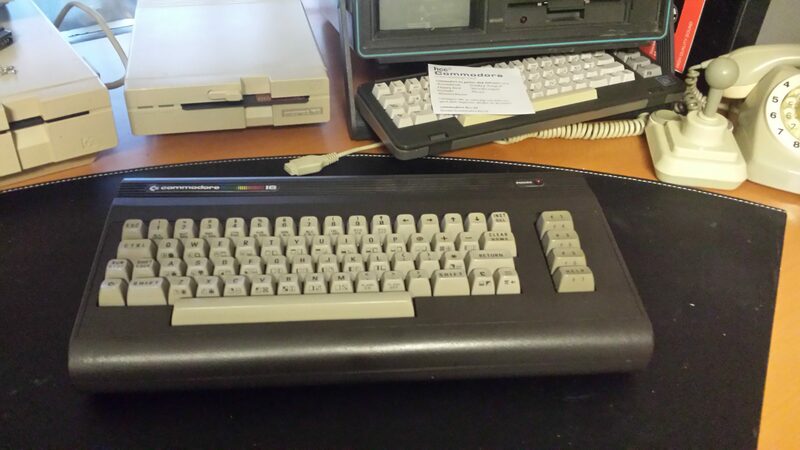 For a very short time I owned a Commodore 16 with 1551 drive. I got it when the company I worked for moved to a new location and got rid of all “obsolete” hardware. While travelling home, the drive fell, and the housing broke, but the drive was still functioning. After some weeks I lent out the Commodore 16, and never saw it back. Years later I gave the drive to the Commodore club. As I want to have all breadbin types of Commodore, I started to look around. begin 2017 I got my hands on a Commodore 16, without power supply. The polarity of the power is reversed like on the ZX spectrum. The + is on the outside of the connector. So I can use the power supply of the ZX spectrum. The Commodore 16 release in 1984 and was placed as replacement of the VIC 20. After the Commodore 16 was release, commodore released the PLUS 4. 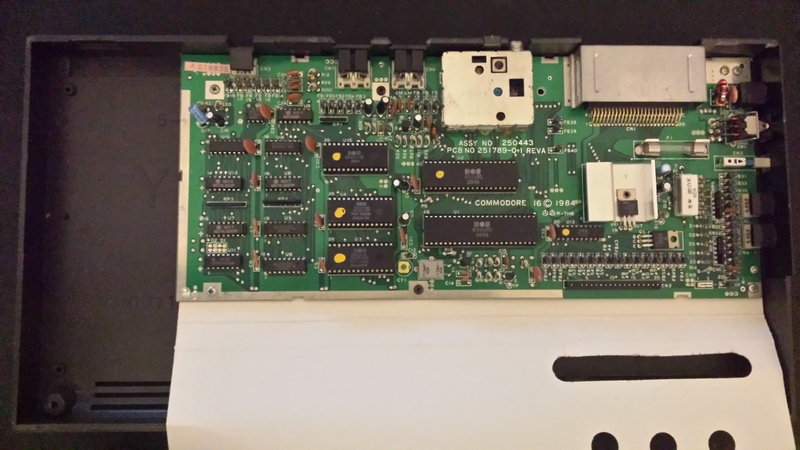 The PLUS 4 uses the same system architecture as the Commodore 16, but has a ACIA 6551 chip, userport, extra function rom and an extra 48Kb of memory. The Commodore and PLUS 4 are part of the so called Commodore 264 family. The 1551 drive is like the 1541 and uses the same dos/layout on the disks, but is connected to the Commodore 264 family by a cartridge in the expension port instead of a serial connection. The first modification I did, is upgrading the memory to 64kb. This way the Commodore 16 will be able to run almost all software from the PLUS 4. This should is easy as the only difference are the memory chips and 2 missing address lines on the multiplexers.